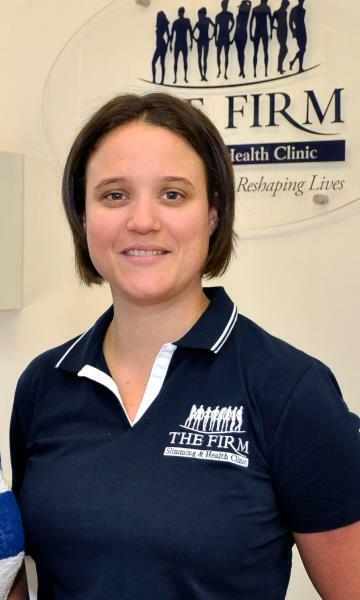 The Firm Slimming & Health Clinic's Samantha Webb. AUSTRALIAN Institute of Health and Welfare statistics show that Australia faces a major health crisis, with three out of five people either overweight or obese. Both present serious health consequences such as increased risk of cancer, diabetes and heart disease, all of which are preventable. The team at The Firm Slimming & Health Clinic has over 20 years’ experience helping people lose weight, tone muscles and reduce the appearance of cellulite. Electrotherapy plays a crucial part in their program, helping firm and tone muscles. This non-invasive treatment is an excellent way to reshape the body and for centimetre loss. It’s also a safe, painless alternative to surgery or drugs, achieving rapid results with no recovery time needed. Electrotherapy is combined with an infrared treatment and a customised eating plan to ensure optimum weight loss that’s effective, fast, healthy and sustainable in the long-term. Treatments takes place in private individual cubicles in a relaxed environment. Silicone pads are strategically placed on targeted areas of the body which sends pulses from the machine’s advanced computerised program, encouraging muscles to contract and relax, stimulating natural movements on specific areas that clients want toned and firmed. No magic pill, potion or lotion delivers weight-loss, instead it involves commitment and a lifestyle change for the rewards of an improved quality of life with a slimmer, more-toned body. Anyone who wants to lose weight but struggled with attending gyms or who has body areas in need of firming and toning should visit The Firm Slimming & Health Clinic.